Pictures, Ronalds tags: airplane, chicago, flight, flying. 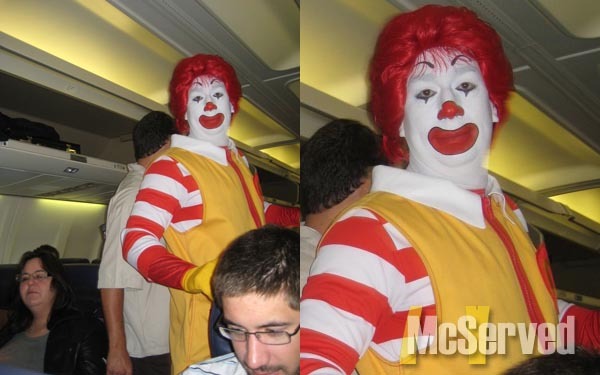 This kid was freaking out underneath Ronald’s head. 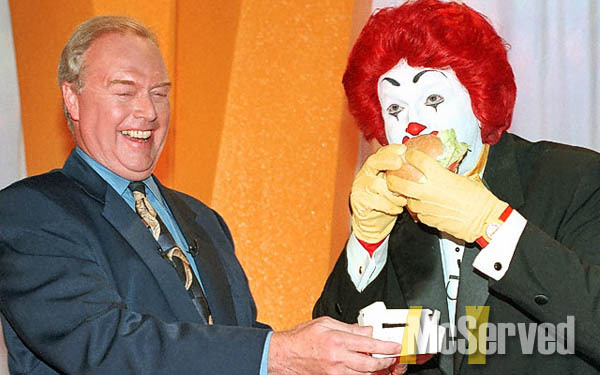 Ronald here appears to have some magical scary power. It may have been the inspiration for clown in Saw. 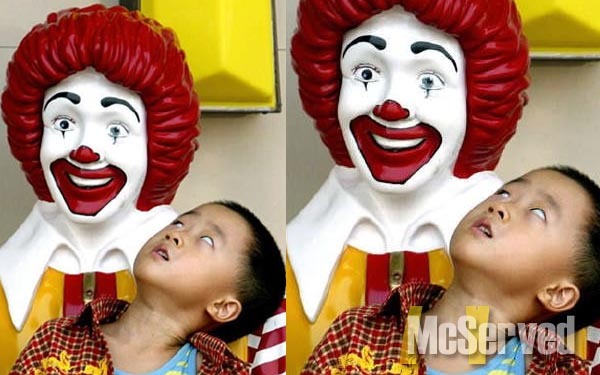 Pictures, Ronalds tags: kid, scary, seizure. this man was mumbling and eventually fell asleep in the comfort of a red headed friend. People, Ronalds tags: bench, healing, Hong Kong. he’s been served one too many times of those. management is loooovin it. Pictures, Ronalds tags: challenge, dare, point break, scary. 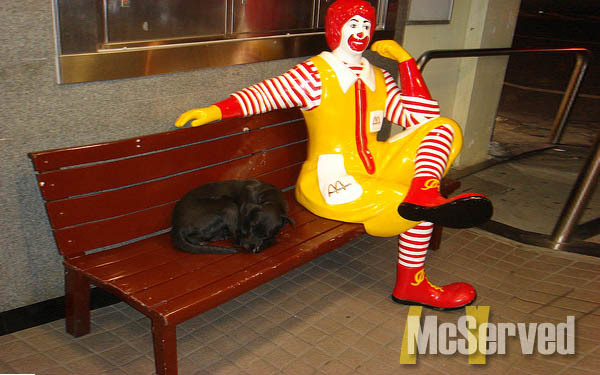 that poor dog thought he met a friend in ronald. Pictures, Ronalds tags: hot dog, philosophy, wonder.